In Saudi Arabia, Waleed Abu al-Khair is the lawyer that peaceful activists turn to when facing human rights abuses. Now, he needs representation from you. A year ago Waleed, a Nobel Peace Prize nominee was jailed for 15 years under a terrorism law in Saudi Arabia. It’s clear that the authorities are punishing him for protecting and defending human rights. Waleed has dedicated his life to defending human rights. He has provided legal representation to many activists, including Raif Badawi, the blogger jailed and sentenced to 1,000 lashes. Saudi Arabia is about to execute Ali al-Nimr, a young man arrested in 2012 for taking part in a demonstration when he was just 17 years old. Amnesty International confirmed that Ali al-Nimr and two other young Shi’a activists were moved to solitary confinement in al-Ha’ir prison in Riyadh on October 5. Ali was allegedly tortured. He has claimed that he signed a confession under duress, and was denied the right to a lawyer when charges were first brought against him. His lawyer was not informed of court hearings. The signed “confession” is the only evidence against him. In sentencing Ali, a juvenile offender, to death, Saudi Arabia has violated its obligations under the Convention on the Rights of the Child, which bans capital punishment for people under 18. Tomorrow, after Friday prayers on January 9, Saudi Arabia plans to publicly flog Prisoner of Conscience Raif Badawi. His crime? Freely expressing his ideas online. Raif started the Saudi Arabian Liberals, a blog where readers could openly discuss religion, politics and other topics in Saudi Arabia. In retaliation for this peaceful act, Raif is serving 10 years and was sentenced to 1,000 lashes. According to information obtained by Amnesty International, Raif will be subjected to approximately 50 lashes tomorrow, while the rest of the full sentence of 1,000 lashes will be meted out over a period of 20 weeks. Raif Badawi was initially charged with “apostasy,” a crime that carries the death penalty in Saudi Arabia. He has been detained since June 17, 2012. 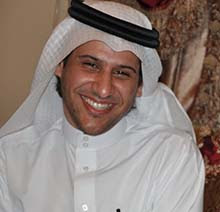 His lawyer, Waleed Abu al-Khair, is also serving a 15-year sentence for his work in defense of human rights. Raif’s wife and children escaped to Canada. We need to do all we can to reunite him with his family. Twenty weeks of agony. Ten years of imprisonment. This is the painful price of criticizing religious authorities in Saudi Arabia. Sign this online petition to demand Saudi Arabia immediately release Raif Badawi and halt this abhorrent flogging. On May 15th, while eight-months pregnant, Meriam Yehya Ibrahim was sentenced to death after refusing to renounce her Christian faith. She was also sentenced to 100 lashes for “adultery” because she is married to a Christian man. Meriam is being held in a prison in Khartoum, Sudan, along with her young son, Martin, and newborn daughter, Maya. Her lawyer says she has been shackled with heavy chains, even during labor. Amnesty International considers Meriam a prisoner of conscience imprisoned solely for the peaceful expression of her beliefs. The court charged Meriam, who has a Muslim father, with adultery under a law that prohibits Muslim women from marrying non-Muslim men. When Meriam explained that she was raised as an Orthodox Christian, her mother’s religion, she was charged with abandoning her Muslim faith and sentenced to death. It is unclear when her execution will take place. Sudan’s Criminal Code requires that pregnant women sentenced to death must be kept alive to give birth and nurse for two years before being executed. Let’s tell the Sudanese authorities to release Meriam now.